Over the years the Greens party has attracted a following of committed activists because of its positions on issues ignored by the two mainstream political parties. However since Senator Richard Di Natale became the new leader of the Greens, people outside of the party believe it has taken a different direction. Loyal Greens supporters continue to insist that nothing has changed. It is easy to see why they would say this. For years people have believed there was a political party they could vote for which could be different. If the party moves closer to the LNP, their years of dedicated support would have come to nothing. It is doubtful that Greens totally committed to the party will accept that by changing from a party of protest to a mainstream contender for political power, the Greens leaders have taken them in a totally different direction. However looked at from the outside the signs are not good. 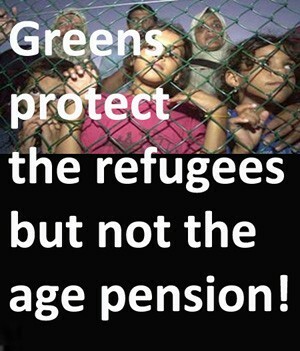 Last year the Greens voted with the LNP to cut the age pension to “millionaire” pensioners. Apart from the money pensioners lost, a principle was also tossed away. Pensioners plan for retirement for years in advance. Changes to pensions and superannuation have been “grandfathered” by applying the new formula only to pensioners in the future. However this would not have cut enough from the age pension for the LNP, so the cuts had to take place immediately. No doubt this is what will be done in the future. The pension/superannuation system is now just another lottery. By agreeing to this the Greens accepted the bogus LNP “budget crisis” agenda which has since disappeared completely from the political landscape. The cuts remain however. So what does this mean? Lee Rhiannon’s work in the TAFE sector has been well regarded by the major education unions. Her area has been split between Robert Simms in South Australia and the Tasmanian Senator Nick McKim. If you remove a strong opponent of deregulation and increasing the cost of a tertiary education and replace them with a person happy to cut funding to education, in what direction are the Greens moving?? To “resolve” this deadlock, Senator Di Natale quietly did a deal with the Treasurer to force all companies with revenues of $200 million or more to publish their tax contribution. The Greens insisted they “had a choice to either criticise from the sidelines and let multinational tax avoiders off the hook, or pass laws that force much greater tax transparency.” In other words, it was better to do something this year – the bill came into effect on 1 January 2016 – than nothing. Labor was angry because the Greens’ deal had the effect of “shielding two-thirds of the companies that would have been brought into the light for the first time.”(GD) Further they thought that “Mr Morrison would have been forced to accept the exemption limit at $100 million by the end of the final sitting of the Senate this week.”(GD) Still, even if Labor was wrong about this, the Greens had another choice. Rather than sitting on their hands or letting 600 companies off the hook, they could have accepted the non-passage of the bill and then used it as a stick to beat the LNP in the next election. By making the deal they did, they not only took the heat off many large corporations, they also deprived themselves and Labor of a wonderful way to attack the LNP as a government determined to hide the extent of tax evasion from the public. The change to the Senate voting system ends the Group Voting Tickets. According to the Greens, this system “gave political parties power over the preference choices of ordinary people who vote Above the Line.” This allows “backroom party deals” to determine preferences. Greens supporters see these changes as “the most democratic way to fix the Senate voting system.”(GV) The change is seen by Greens as removing the power of political parties to determine preferences, and allows everyone to choose preferences themselves. Sounds wonderful! What could be wrong with this? The problem is that this justification relies on some vague notion of what an “ideal” democracy might look like. How else can you say one system is more or less democratic than another? Judging the “reform” as better or worse when compared to some ideal democratic system is a real can of worms. Instead I will look at this “reform” from another perspective. The reality is that the LNP only needs between 39% and 43% of the primary vote to get three of the six senate seats in any state. That is around 40% of the primary vote gets 50% of the seats. Even worse, they could get four seats – 66% of six seats – with 54% of the votes. (HQ) Compare that with you idea of an ideal democratic system! In other words, under the new system the LNP will very likely control the Senate in their own right, and the only hope for either Labor or the Greens is to work as closely together as the two parties in the LNP do. Any Green moves to the right will push them into oblivion. “Real security rests on cooperation, fair economic and social development, and respect for human rights, rather than on military capability. “1. Genuine security rests on cooperation, fair economic and social development, environmental sustainability, and respect for human rights, rather than on military capabilities. One can only respect the people with deeply held pacifist feelings. However to propose pacifism as a “defence” policy is both unelectable and worse than useless. Even a casual knowledge of recent history shows that many nations around the world have engaged in military attacks to exert control on other nations. I cannot imagine a single case where attacks by Germany, Japan, the US, Russia, China or any other country could be “defended” by something other than military capabilities. How could Australia do any better? The claim that “Non-violent conflict management is the most effective means of promoting peace and security” is patently false. How could anyone say this with a straight face? I assume that Di Natale’s suggestion to the Lowy Institute that Australia did not need to build 12 new submarines – and thereby save $50 billion – comes from this absurd policy. I suppose the Greens assume nobody will actually read the policy, and I doubt we will see it on any billboards during the election. The Greens stated policy on international relations is to me a good one. 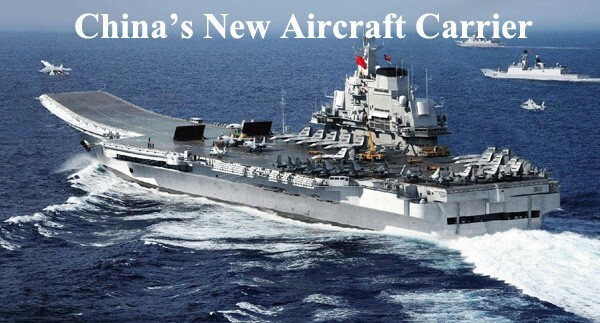 It is based on economic independence and national sovereignty. “Australian foreign policy should benefit both the Australian people and the people of the countries with which we engage.”(IR) In his recent speech to the Lowy Institute Senator Di Natale apparently opposed the Australian alliance with the US. (I should say that I could not find any reference to ending Australia's alliance with the US in the Greens Policy documents.) “Di Natale demonised the US alliance, calling it dangerous and expensive and blaming it for global conflict, inequality and radicalisation.”(HTM) This is also something which I take to be obvious. The fact that it is not obvious to our current political leaders only shows how carefully they have been selected for their obedience to the US Empire. So what could be wrong with this policy? The only thing wrong with this policy is that it is hard to believe they are serious. Have the statements in the Greens' policy documents been put there merely to keep some of their radical followers loyal? How can I say this? Senator Di Natale was born in 1970, and would not have noticed at the time what happened to the last Australian political leader who had similar ideas. When he was elected in 1972 Gough Whitlam worked to break the remnants of the old colonial ties with Britain and chart a more independent foreign policy. British influence in South East Asia virtually disappeared after World War II. Whitlam wanted to move Australia closer to the Non-Aligned Movement. To become non-aligned he wanted to remove the US base at Pine Gap. John Pilger reports he was told by Victor Marchetti, the CIA officer who had helped set up Pine Gap, that "this threat to close Pine Gap caused apoplexy in the White House... a kind of Chile [coup] was set in motion. "(TFC) One of Whitlam’s ministers, Clyde Cameron, told Pilger, "We knew MI6 was bugging Cabinet meetings for the Americans. "(TFC) Some years later senior CIA officers revealed that Whitlam's attitude to Pine Gap had been discussed by the CIA's director, William Colby, and the head of MI6, Sir Maurice Oldfield. People at the top of the CIA revealed that "Kerr did what he was told to do." On 11 November 1975, just before Whitlam was to announce in Parliament the presence of this secret CIA spy base in Australia, Kerr invoked vice-regal "reserve powers" and removed Whitlam from office. If Di Natale and the Greens were actually serious about this policy, would the US be less interested now than they were in 1975? Pine Gap and the Australian alliance is even more important to the US than it was 40 years ago, particularly in its confrontation with China. I can only assume that the important people in the Australian military and security services know that this is just empty talk. 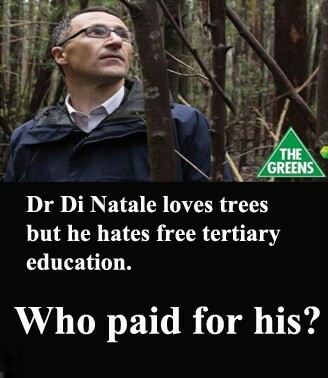 Otherwise I cannot see how Di Natale’s future would be different from Whitlam’s. 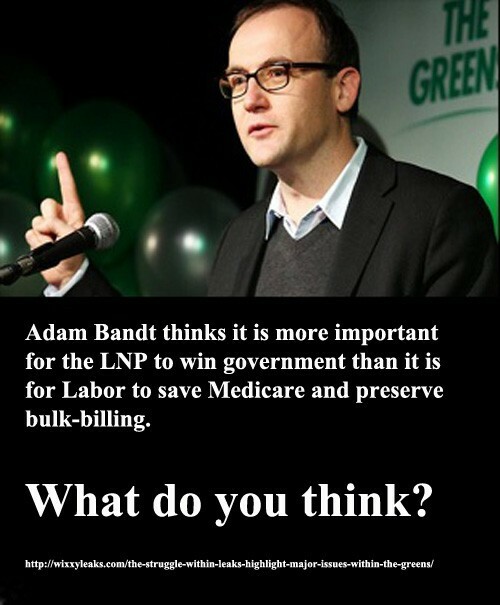 “Bandt in his support of this view (that an LNP government is better than Labor) is basically telling the electorate he would rather see Abbott’s sick tax and the dismantling of Medicare than increased funding for hospitals and the protection and expansion of Medicare services. “A preference for $100,000 uni degrees to GONSKI funding for public schools. “He’d rather see welfare payments cut off forcing people into crime or poverty than see the funding of training services for the disabled and long-term unemployed. “Perhaps even more alarming would be his and Casey’s preference to see the changes to section 18C of the Discrimination Act altered to allow the racial vilification of minorities, rather than the protection of our citizens of all races from discrimination. When I ask “Have Greens Turned Right?”, this is not a party-political question. I have not always voted for Labor. In the last election I voted for the Greens in the Senate to support Sarah Hanson-Young. I agree with the Greens policy – if this is what it is – to break free of the US alliance. But this does not mean I will be voting for the Greens this time. There are many, many policies in politics. I don't vote for a party just because I agree with some of its policies. Voting for a political party is not like choosing a rug to fit into your colour scheme at home. Some issues are more important than others, and Labor's pledge to keep Medicare and continue bulk-billing is THE ISSUE IN THIS ELECTION. The Liberals have hated Medicare since its inception. For more than 40 years they have waited to kill it off, and now they are ready to do just that. Labor has a terrible refugee policy and they will not even stand up for minimum wage legislation. They are far from a perfect party. But in the real world there are no perfect political parties and there never will be. When we buy a computer, we don't buy a perfect computer. We buy the best computer we can afford. When we vote, we shouldn't vote for the perfect party, or the perfect candidate, or the party that thinks just like we do. Most Australians need Medicare and bulk-billing, so they should vote for Labor this time around. Even if you don't need Medicare and bulk-billing, you might think for a moment about the welfare of your fellow Australians who do. So have I answered the question I began with: Have Green Turned Right? It doesn't look good to me. Further when some of us with a conspiratorial cast of mind look back over the last year we see an interesting pattern. At the beginning of 2015 Tony Abbott was Prime Minister and Christine Milne was the leader of the Greens. Tony hated the Greens with a passion, and my understanding is that Christine Milne was opposed to doing deals with the LNP. The other little fact was that Tony Abbott seemed to be unelectable. Even people in the LNP could see that they could loose bigtime if they kept going in the same way. Then someone came up with a brilliant idea: What if the Greens replaced Christine Milne with someone much closer to LNP thinking while the LNP replaced Tony Abbott with the more flexible and apparently untainted Malcolm Turnbull. They could do some deals in the Senate to pass some of LNP legislation – like cuts to the age pension – and even change the rules for the Senate to get rid of those damned independents. With the support of the Greens the LNP might just win an unwinnable election. Suddenly two quite unexpected leadership changes occurred. On 6 May a relatively unknown Greens Senator named Richard Di Natale was chosen as the Greens new leader. Then, equally suddenly, Tony Abbott was rolled and replaced by his traditional rival, Malcolm Turnbull. The really interesting task for historians is to uncover who came up with this very clever plan to save the LNP from certain disaster.